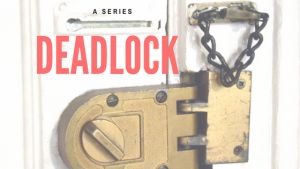 Deadlock in a limited liability company or partnership occurs when the members can no longer pursue the purpose of the business as agreed in an operating agreement or partnership agreement. A ‘minority veto’ occurs when a minority member or partner uses the unanimity requirement to block the will of majority. Actions outside the ordinary course of business are likely to require unanimous consent, including the admission of a new member or partner, amendment to the operating or partnership agreement, a merger or sale of substantially all of the business’ assets. Deadlock among the members of a limited liability company, or among the partners in a general partnership, involves the inability of the company to make decisions that are material to the continued operation of the business. It is not an infrequent occurrence. The direct participation of the owners in the day-to-day affairs of the LLC or partnership and the requirement that — in most circumstances — the most important decisions require a unanimous vote make it important that an LLC or partnership is able to reach consensus on the most important decisions. Because LLCs and partnerships are unincorporated business associations, they are typically quite different in structure than a traditional corporation. And while deadlock among the members of a limited liability company or partnership involves many of the same principles that one finds in the closely held corporation, there are significant differences as well. In this article, we look at some of the differences between deadlock in corporations, which are generally governed by statute, and deadlock in unincorporated business associations (primarily partnerships and limited liability companies), which are governed primarily by principles of contract. In many cases, the results are not very different, but there are some key distinctions. In later posts, I will examine some of the circumstances in which the courts have been asked to resolve deadlock disputes through lawsuits seeking involuntary dissolution actions or the expulsion of a member or partner. Unlike a corporation, which conceptually is a creature of statute, deadlock in a partnership or limited liability company usually does not involve any specific statutory provision that is intended to address the problem of deadlock. In fact, neither the Revised Uniform Limited Liability Company Act (RULLCA) nor the Revised Uniform Partnership Act (RUPA) specifically mention deadlock. Rather, because the limited liability company and partnership are fundamentally creatures of contract, the focus is not on the statutory criteria but the nature and scope of the express and implied agreements that exist between the owners.